Nathan Mileikowsky (1879-1935) was born in what is now Belarus to an Orthodox Jewish family descended from the great Vilna Gaon. When he was ten, he joined the famous Volozhin yeshiva and after eight years of diligent study was ordained as a rabbi. During this time he became drawn to Zionism and soon dedicated his time to the Zionist cause. He traveled across Europe, Russia, and later the United States to raise support for Zionism – becoming one of the world’s most popular Zionist speakers – as well as to raise money for the Jewish National Fund. In 1920, Mileikowsky made aliyah to Israel. He headed a school in Rosh Pina, promoted settlement of the Galilee, and wrote articles for the Hebrew press – often under the pen name “Netanyahu”. He continued to tour globally, at one point giving over 700 lectures in under 9 months, and publishing some of these talks in a popular book. Towards the end of his life, Mileikowsky settled in Herzliya and established a farm. 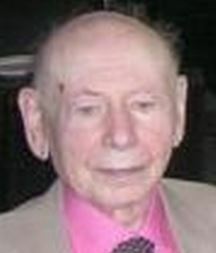 His son, Benzion Mileikowsky (1910-2012), was born in Warsaw while Nathan was head of its Hebrew Gymnasium. Growing up in Israel, he adopted his father’s pen name “Netanyahu”. Benzion studied at the Hebrew University in Jerusalem, taking on a more hard-line approach to Zionism. He became editor of a number of Zionist newspapers, and later the chief editor of the Encyclopaedia Hebraica. In 1940, Benzion moved to New York to build American support for the Jewish state, serving as executive director of an American Zionist group. Later on, he became a professor of Judaic studies and medieval history at Cornell University. Benzion published five books on Jewish history, and edited a number of others. His three sons are: Iddo, a doctor and author; Benjamin, Israel’s current prime minister; and Yoni, the eldest son. Yonatan “Yoni” Netanyahu (1946-1976) was born in New York, went to high school in Pennsylvania, and studied at Harvard. He first enlisted in the IDF in 1964, and fought in the Six-Day War, getting wounded while rescuing a soldier behind enemy lines. A few years later, he joined Israel’s special forces unit, Sayeret Matkal, and by 1972 became its deputy commander. For his heroic service during the 1973 Yom Kippur War he was awarded a distinguished medal. 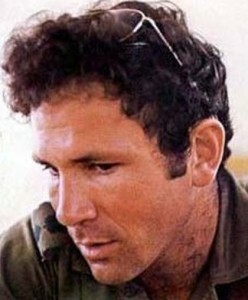 In 1976, now commander of Sayeret Matkal, Yoni led Operation Entebbe, successfully rescuing over 100 Israeli hostages held in Uganda. Sadly, Yoni was the mission’s sole casualty, and passed away during the flight back home. In 1980, his personal letters were published, and were described as a “remarkable work of literature”. Both a film and play have recently been made about his life. God treats a person the same way they treat their children. This entry was posted in Law, Politics & Military, Religious Leaders, Writers & Thinkers and tagged American Jews, Belarus, Cornell, Encyclopaedia Hebraica, Entebbe, Harvard, Hebrew Gymnasium, Herzliya, IDF, Israel, Israeli Army, Israelis, Jewish History, Jewish National Fund, Lithuanian Jews, Netanyahu, New York, Poland, Polish Jews, Professor, Rosh Pina, Russia, Russian Jews, Sayeret Matkal, Six-Day War, Soldiers, Special Forces, Uganda, Vilna Gaon, Volozhin, Warsaw, Yom Kippur War, Zionism, Zionist on July 15, 2015 by Jew of the Week.